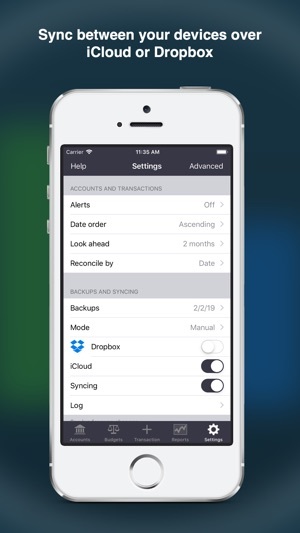 This PRO version adds support for automatic backups, database syncing, 3D Touch, Apple Watch, enhanced transaction searching, split screen multitasking, and more. If you already have Account Tracker, use the upgrade bundle to get a discount! Please DO NOT leave support requests on the AppStore as these are anonymous and I have no way of contacting you if I have questions. Instead there is a link to my support page from the AppStore and from the app itself (or simply go to http://grahamhaley.co.uk/accounts/). Replaced most of the blue accessory (i) buttons with row swipe actions, to free up space and make it possible to add further options, e.g. quickly setting an account's current balance, or duplicating a transaction (without copying to today). 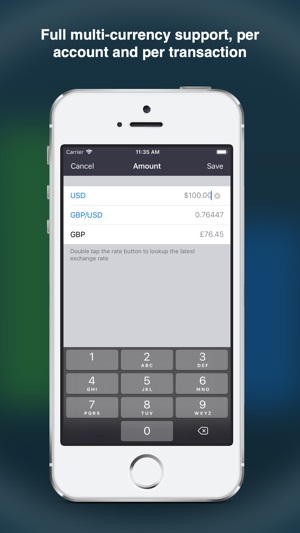 To access these options, swipe right to left on the account, transaction or budget table rows. I have been using this for a few years now(after iReconcile was abandoned). It is perfect and reliable and the developer keeps updating it (I’m pretty sure he uses it himself which keeps it up to date). So glad I have this app. Dropbox sync is rock solid. Really appreciate all the detailed functions. A very thoughtful and well laid out app. Recurring payments can be automatically setup and you can modify them individually. Brilliant. Upcoming overdrawn warning is a nice touch as well. Developer actually responds to inquiries. Categorization allows some flexible reporting options. This helps me to quickly identify yearly expenses. Wife and I have this synced to each phone. One recommendation- it could be nice to be able to switch between two instances of this app so spouses could maintain anonymity with separate account info while syncing common accounts. Even if you just offered the exact same app with another name that would allow for this it would be awesome. Maybe “Account Tracker Pro 2” or something. I’m sure you can think of a more elegant solution. Great application with no subscription required! This is the app I have been searching for over 1 year for! I had even gone so far as to purchase the Apple Developer license and begin to start learning to program myself because I have literally bought about 10 different checkbook apps searching for something like this. Those were the two main checkboxes I needed checked. I would advise anyone using it to Read The Freaking Manual (RTFM). It defaults to a reconciliation method I had not seen before (items today and in past are cleared) so that threw me off but the developer was very nice about it. Responded within minutes. You can create your own categories which is nice and I had seen this in other apps. I like how it memorized the payees and I can go in and edit the list. I like it also has a backup feature too which gives me peace of mind (especially after having 3 different apps lose all of my data after using them about 3 months). In order to use multiple devices make sure you read the pop ups which appear when turning SYNC on. They are very clear. From what I know about the iCloud sync, iOS can throttle the syncing so you will want to turn it on for your primary device and then wait a bit before turning it on for the second device. Hope this helps everyone out there! 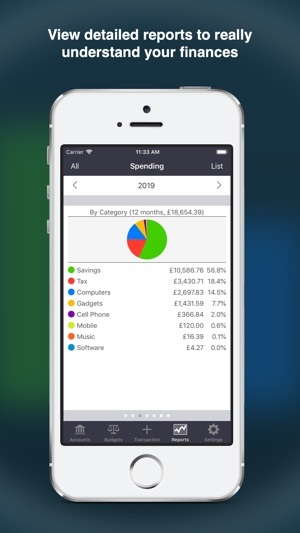 I actually believe Account Tracker Pro is the best kept secret in the App Store for a Checkbook/ Personal Finance app! It has everything you would ever need to reconcile your account balances. 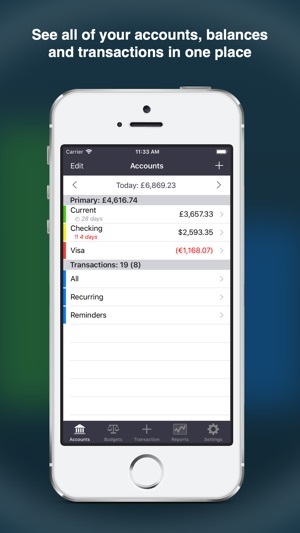 An easy to use User Interface, Manual & Automatic transaction reconciliation, the ability to make Split Category (and subcategory) transactions for Daily and Recurring formats, Budget & Detail reports, the ability to make multiple accounts in multiple currencies, iCloud & Dropbox Back-up/Syncing for multiple devices all free for the cost of this very inexpensive app. 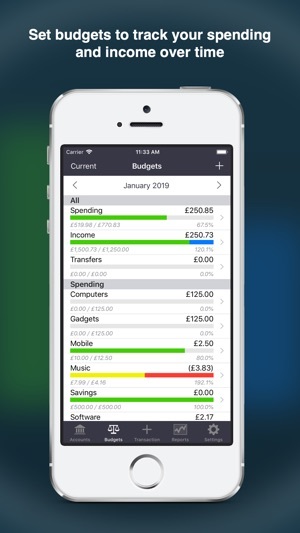 But best of all, it offers the ability to look ahead on your recurring transactions to alert you if you're running short before the end of the month. Oh, and one more thing, it also supports Apple Watch! The developer is very fast at responding to any issue you have with the app when reporting it to him by email.